I ran 30 miles solo on Friday night at Relay for Life. Celebrating my 6 month anniversary from breast cancer. 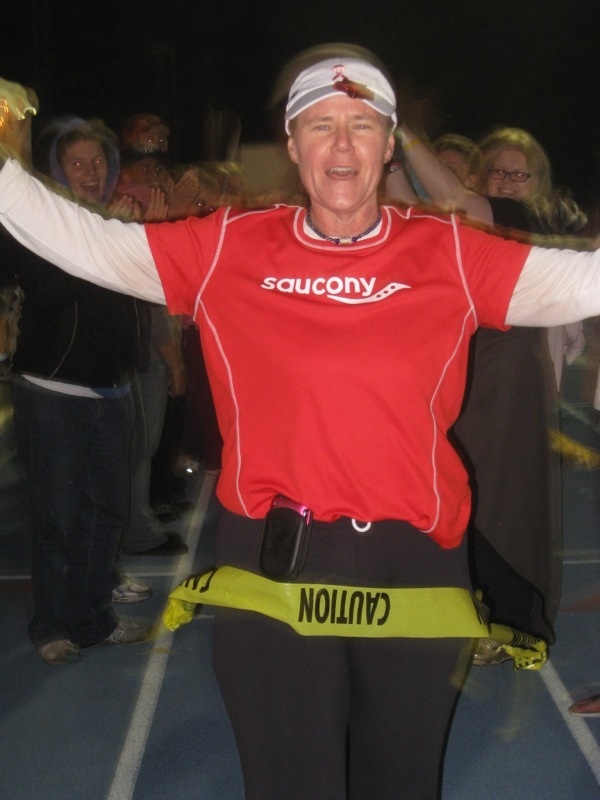 Here I am breaking the finishline tape!